Let’s take a moment, shall we, and note for the record: Bob Dylan’s last top forty hit. 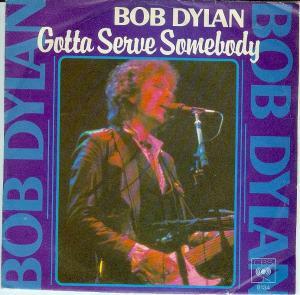 “Gotta Serve Somebody”, the first of a ridiculous four singles from Slow Train Coming, peaked at #24 in the United States in August 1979. He has not even sniffed the singles pop charts in the intervening three and a half decades. For such a legendary singer, he never did that well on the pop charts. In fifty-two years of recording, Dylan has never had a #1 hit (in the US), although he had two #2s (“Like a Rolling Stone” and “Rainy Day Women”) and four in the top ten. It’s a pretty meagre success rate, if this is your gold standard. Slow Train Coming was actually a successful album – peaking at #3 on the album chart. It would be his last success until 2001. 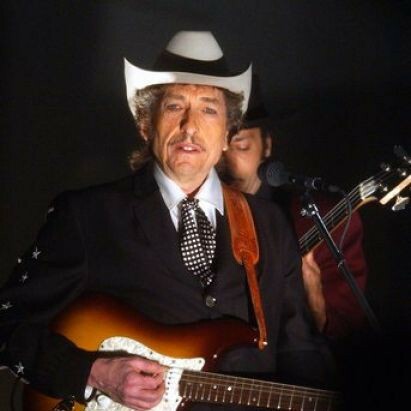 It has been suggested that the album brought Dylan to an entirely new audience of right-wing Christians, and maybe that is the case. It’s not too far-fetched as to be unbelievable. “Gotta Serve Somebody” is one of the better songs on Slow Train Coming, which is an album that I generally am finding not too bad. It has a very 1970s bass line, and Dylan sort of whispers the lyrics into the mic. The back-up singers are also used pretty well here. In 1980 this song will win Dylan his first Grammy – which is not so much a celebration of the quality of this song as it is a complete condemnation of the uselessness of the Grammys, but we’ll deal with that next week. That one bugs me every single time as it seems so out of place. The “you can call me R.J.” stuff in the song was quoting a beer commercial that was popular at the time, believe it or not. It was from a “comedy” routine by a guy named Ray J. Johnson. It seems inexplicable that Dylan would quote a beer commercial, but he did. For some reason, this became something of a (completely annoying) catchphrase at the time, at least among the salt of the earth of my socioeconomic cohort of origin. This song shows that Dylan remained the prophetic voice of a generation, but we were mostly unaware at the time that much of the impending inevitable “service” would be of fast-food sandwiches and overpriced cups of coffee. Gads, Judy Collins is NOT the right person to be singing this song. So, so off.